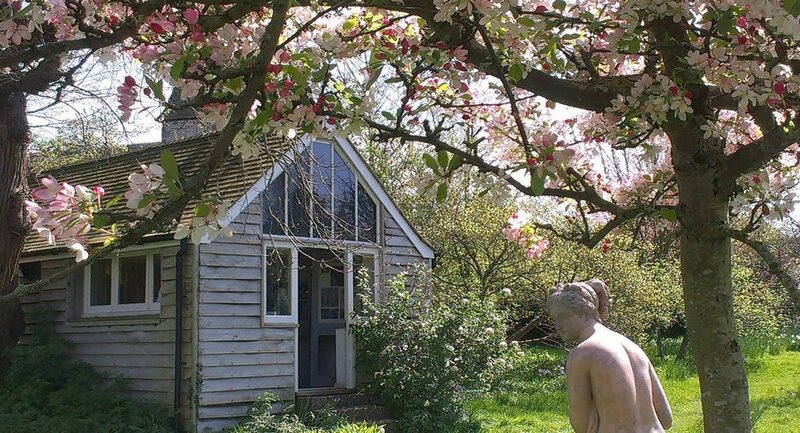 The topic for our Virginia Woolf Summer Course in 2019 is Virginia Woolf's Gardens. Gardens, parks, and plants are enormously important in Woolf's writings. When readers start looking for the gardens in her work they might feel, like James Ramsay in To the Lighthouse, as though ‘everything tended to set itself in a garden.’ It is a space that occurs in every single one of her novels and in several of her essays and short stories. This course explores why gardens were so important to Woolf, and asks how they affected her life and work. We will study works across the length of Woolf's career, from 'Kew Gardens' (1919) to Between the Acts (1941). What do gardens mean in her work; and how does this meaning deepen our understanding of her novels? We will explore the role played by individual plants and flowers in her fiction, and touch on early twentieth century gardening and design. Is there a politics or language of gardening; how does Woolf use gardens to explore some of her more challenging ideas? We will study one or two Woolf texts per day for five days, with a lecture followed by a group seminar or supervision (tutorial). We will pay visits to places of interest in Cambridge, including some of the most beautiful, ancient colleges. Our lecturers lead the visits and can get access to areas not usually open to the public. We will see the remarkable manuscript of A Room of One's Own held in Cambridge; a rare treat. And we will pay a visit to the Cambridge Botanical Garden with a lecture by the brilliant garden historian Caroline Holmes. Further details of teachers and speakers below. Saturday 20 July 2019. This takes place the day after the Woolf summer course. Add this to your booking if you wish. If you wish to do some extra reading, the titles below are useful but not essential. Take the opportunity to live for a week like a Cambridge student in the relaxed environment of Wolfson College. Immerse yourself in literature, with lectures, seminars, and discussions, and time to read and think. Our distinguished teachers include Gillian Beer, Oliver Goldstein, Alison Hennegan, Karina Jakubowicz, Suzanne Raitt, Trudi Tate, and Clare Walker Gore. Our other speakers include Kabe Wilson who will talk about his remarkable creative work on Woolf, and Caroline Holmes will talk about the history of Cambridge's Botanical Garden and the Darwin connections, which form an important background to gardens in Woolf's time. Jeremy Thurlow, Music Fellow of Robinson College, will talk about Woolf’s interest in music, and will give a short piano recital of pieces that she loved. Peter Jones, Fellow of King’s, will give us a guided tour of King’s College. Each day starts with a lecture presented by a leading scholar. This is followed by a seminar or a Cambridge-style supervision (tutorial), given to students in very small groups, and taught by lecturers and post-docs from the University of Cambridge. We will also have a group seminar in which everyone can participate. We also offer a week of study on Fictions of Home: Jane Austen to the Present, 21-26 July 2019. Supervisions last for one hour. Students meet in small groups (usually 3 or 4 students) with a Cambridge supervisor to discuss the topic of the day, looking closely at the text of the day. Supervisions are a unique opportunity to discuss a work in depth, try out ideas, and refine your close reading skills. Weather permitting, some supervisions can take place in Wolfson's pleasant gardens. See further comments from students here. Hear Caroline Zoob, author of Virginia Woolf’s Garden, interviewed by Literature Cambridge lecturer Karina Jukubowicz. Virginia Woolf Society of Great Britain website. Monk's House, National Trust website. British Library information on Woolf's short story, 'Kew Gardens' (1919). Paula Maggio, review of Caroline Zoob, Virginia Woolf's Garden, Blogging Woolf. Review of Zoob, Virginia Woolf's Garden, Virginia Woolf Blog. Review of Zoob, Virginia Woolf's Garden, Gardens Illustrated. Review of Damon Young, Voltaire's Garden. Jeanette Winterson on Orlando, Guardian, September 2018.